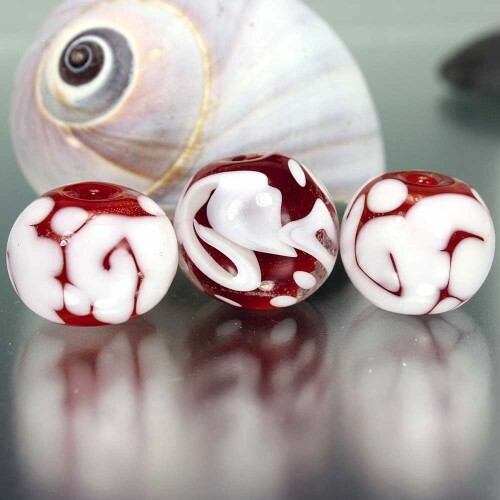 Some lovely beads are calling to me this week. And last but so not least! This very clever & smart person has taken Fireline & colored it. I want them all! 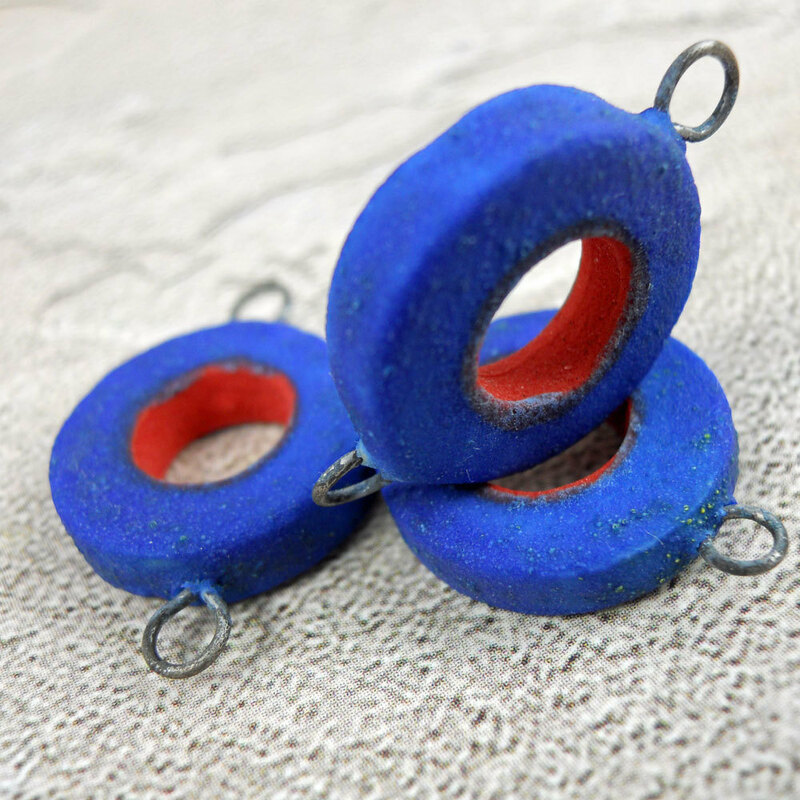 I know there's a lot of controversy over Fireline vs. Nymo or other nylon threads but I like the body of the work better when it's done on Fireline. 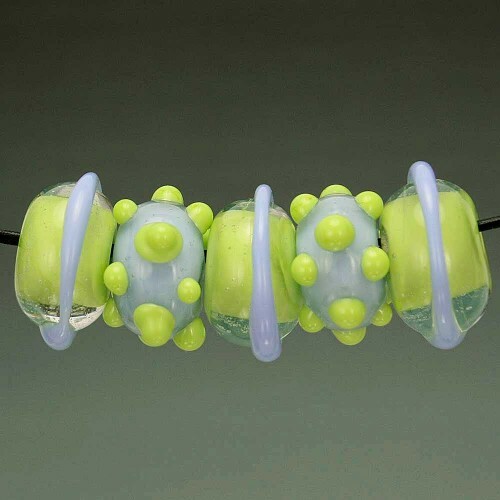 It makes my bead weaving seem somehow sturdier and more substantial. And I love that Sparkle Spot has taken a product I really like and made it better. I really want every color. They say there will be more coming (I do notice that green is missing). I can't wait to see what else they come up with! And a very happy birthday to my sweet, funny, loving husband. I'm so lucky I got you! 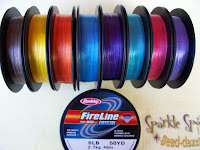 Totally agree with you on the colored fireline! I got some a few months ago and LOVE it! I just finished a piece using the Cherry Blossom and it disappeared into the pinks and oranges of my piece---no visible threads! 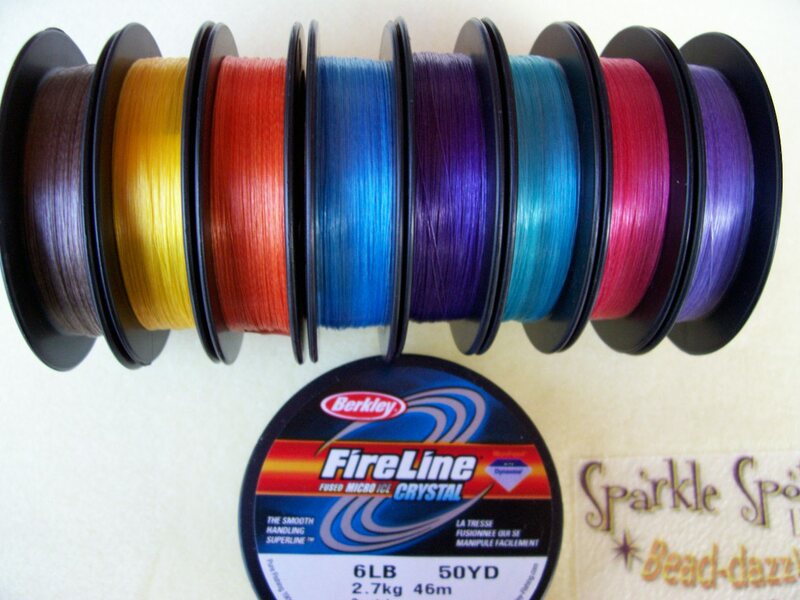 Can't wait to try that colored fireline! We were talking about it at the class the other night wondering of the color would come off like smoke? To me it didn't matter because even with smoke when the color comes off it's still on the thread, but others were wondering how it would hold up and would white eventually show through?? Any word from anyone on this? Sally did you order some??? Sally I love the art beads that you've featured, some are fun and whimsical and some more serious but all of them are beautiful. How gorgeous! 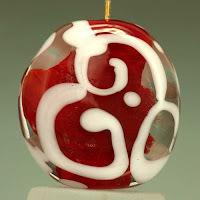 I'm just amazed at the handmade work these artisans are doing. Belated birthday wish. Hoping you both had a special day. I also prefer Fireline - seems stronger to me. Love their new colors! About time too. Sally, looks like you are in a colorful mood! :-) I love those ruffled lampwork discs! I've always had a thing for ruffled discs. 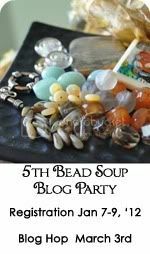 I wanted to say Congrats on winning the book tour give away over at Bead A Day - looks like you won some of Barbara's pretty enameled beads!